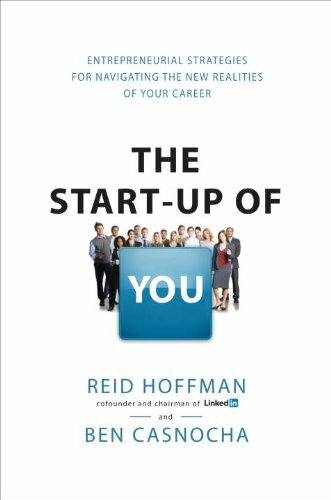 In their book, The Start-Up of You, LinkedIn cofounder and chairman Reid Hoffman and author Ben Casnocha show how to accelerate your career in today’s competitive world. The key is to manage your career as if it were a start-up business: a living, breathing, growing start-up of you. The challenge is to “invest in yourself, invest in your network, and invest in society” to give yourself a competitive advantage in today’s volatile marketplace. All humans are entrepreneurs not because they should start companies but because the will to create is encoded in human DNA, and creation is the essence of entrepreneurship. We are all risk takers. But we are not all equally intelligent about how we do it. Many people think you get career stability by minimizing all risk. But ironically, in a changing world, that’s one of the riskiest things you can do. Each day presents an opportunity to learn more, do more, be more, grow more in our lives and careers. Keeping your career in permanent beta forces you to acknowledge that you have bugs, that there’s new development to do on yourself, that you will need to adapt and evolve. If you try to be the best at everything and better than everyone (that is, if you believe success means ascending one global, mega leader board), you’ll be the best at nothing and better than no one. Whatever the situation, actions, not plans, generate lessons that help you test your hypotheses against reality. Actions help you discover where you want to go and how to get there. 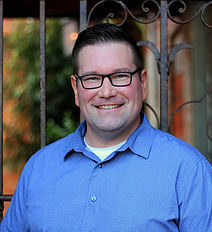 A slightly less-competent person who gets along with others and contributes on a team can be better for the company than somebody who’s 100 percent competent but isn’t a team player. Relationships are living, breathing things. Feed, nurture, and care about them: they grow. Neglect them: they die. The ideas in this book are applicable to those who are looking to change careers as well as those who want to grow in their current line of work. With the idea of “job security” being a thing of the past, this book provides tips and strategies to use now and in future to navigate the changing world of work. Great thoughts, very applicable. Thanks for sharing them.